Finally, and I do mean finally, because it came late to Nova Scotia this year, real spring arrived and with it came launching day. 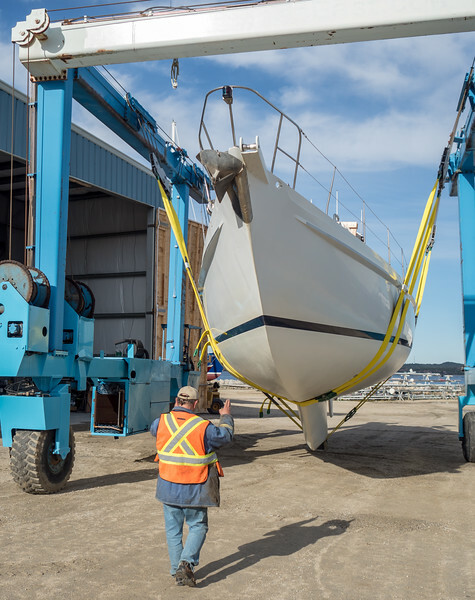 After two winters there, the crew at East River have launching our boat and stepping the mast down to a fine art, but it's still a stressful operation we will never grow to love. As yard foreman Don said after stepping the mast, "If it wasn't 11:00 in the morning, I would be having a large rum now".